Last Monsoon I wrote an article about Tips for Driving a Car in the Rain. 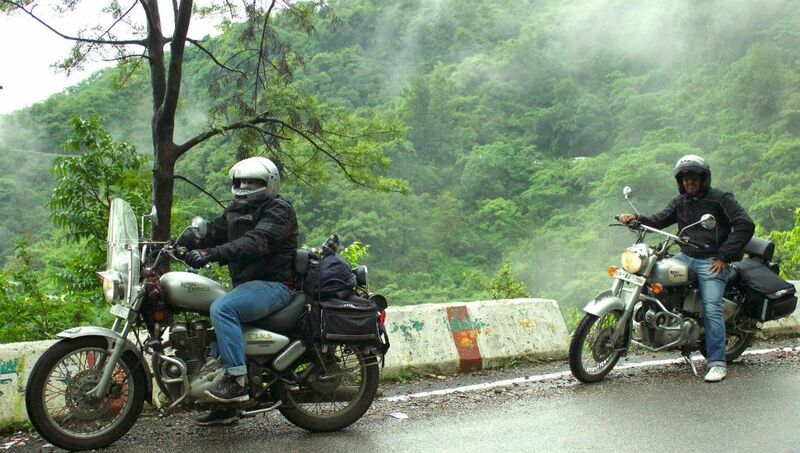 In India, The Monsoon has arrived and bring so many problems for bikers. Riding a bike in the pouring Rain is not an easy task. Bad weather, wet roads and pothole raise motorcycle riding to a whole new level of complexity. You’ve to keep a few tips in your mind so that Rain dont spoil your happiness. 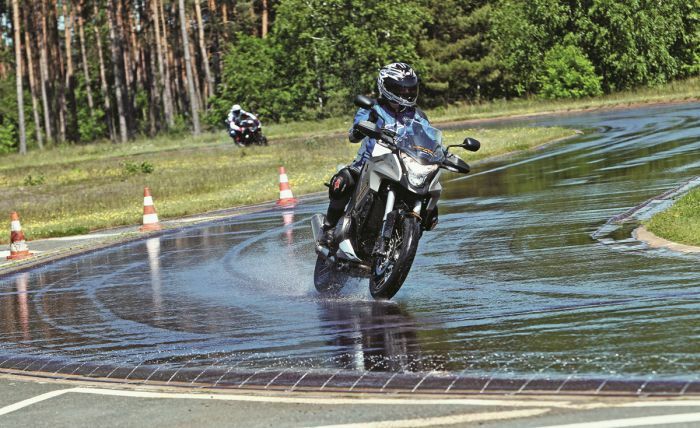 Here are the few Tips for Riding a Motorcycle in the Rain. The first problem you face in Rainy season is a loss of traction. Bikers tires fail to gain traction on a wet road. And the oil residue from passing vehicles floats on the top make it worst. Driving style completely changed in wet road, bikers should focus more on the road while driving in the rain. Slow down your speed. The rain reduced braking distance and lean angle in turns. The first 15 minutes during rain are the slickest. Wait for 15-20 minutes till all oil, fluid washed away in the rain. 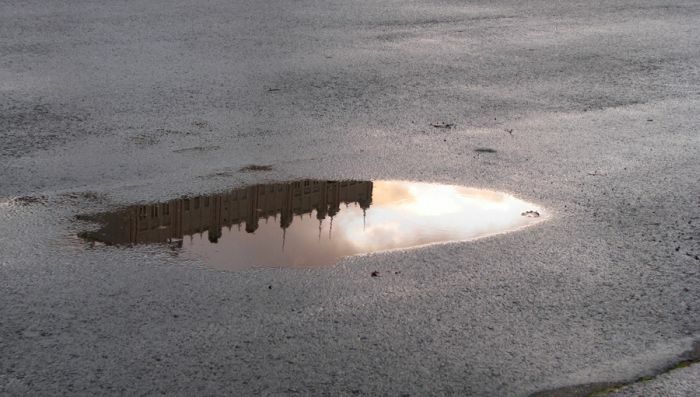 Take care of water puddles. Avoid riding in a muddy area. This is for rural and hilly area where rain took the mud from mountain and spread it on the road. The second problem you faced is Visibility. Visibility gone low in pouring rain and it hard for both bikes and other vehicles to see beyond a few meters. Leave your helmet glass slightly open. The difference in temperature between the outside air and the inside of your helmet creates fogged on your helmet glasses. 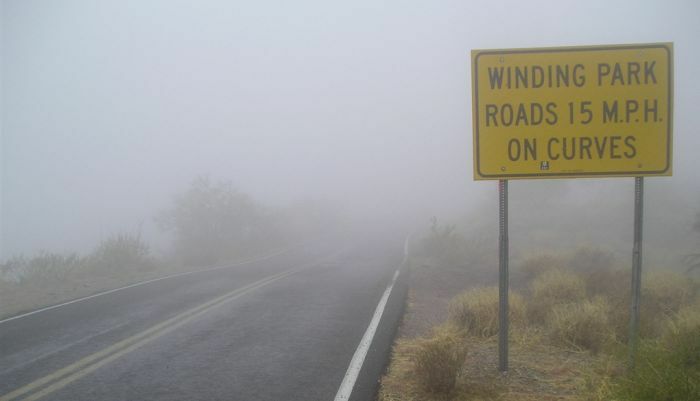 Wheel spray from Cars and trucks also lower the visibility. I suggest you to maintain the space. Turn on headlights and let everyone know you are on the Road. It’s a good idea to ride with headlight and tail lamp ON. If your tail lamp is not working, please repair. It helps other driver to recognize your bike. 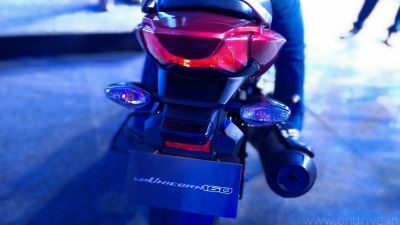 Now in days Bikes are equipped with LED lights which work reasonably well as compare to normal one. Many times you have seen Rainbow patches on wet road. Rainbow patches are an indication of an oil patch. Riding through puddles are fun and everyone loves it. But avoid water puddles. Puddles always hide potholes and mud. Driving fast through could be dangerous. Always maintain space with a vehicle in front of you. This has two benefits, first if vehicles suddenly brake than you will get enough distance to break your bike. The Second benefit is that, Truck can go pass trough the potholes easily but your bike cant. Always ride behind the rear wheels of the Truck. Replace your old tires with new one. Many tire companies offering rain tire at an affordable price. 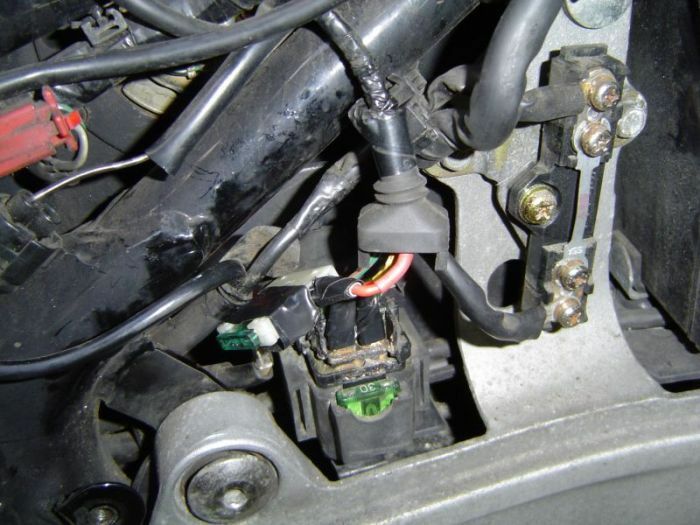 Tighten up all loose connections in your bike, specially the spark plug and headlight wires. One water splash will short circuit your connection. Become a weather expert. 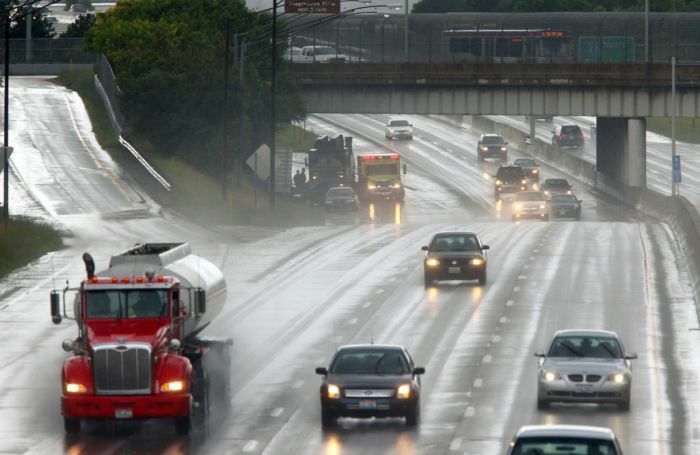 Watch out windshield wipers of oncoming cars to see whether it’s raining ahead or not. (I always do it). Always take polythene with you, It will protect your wallet and mobile with surprise rain. Check tire pressure, this will avoid hydroplaning on wet surface. Brake gently and always use both brakes together to avoid skidding. If you ride bikes for long distance. But proper rain gear. Focus on road! Road in the rain is full of surprises. You can keep your girlfriend shut during rain. DONT STOP BELOW A TREE. Get high visibility rain coat. Never try to cross overflow bridge. If you know any tips, please share in the comments section.